Are you an inspiring Writer, Author or Publisher willing to sell your books online at popular web platforms such as Amazon, Apple iBooks or Barnes & Noble? We are a professional ebook conversion company, providing ebook design services accross the globe. We are offering data conversion services in various ebook formats like ePub, Mobi and Fixed Layout Format. There is a rising adoption of mobile and tablet devices which is making readers curious about ebook formats and they want to buy these soft ebook copies to easily carry in their portable eReader devices. Since ebook formats are more compatible and easily carried, so there is a huge rise in ebook readers every year. All these ebook formats are easily readable on eReader devices i.e Apple iPad, Sony Reader, Amazon Kindle, Barnes & Noble Nook etc. So an ebook conversion company can help you with professional ebook design services to convert your pdf, word doc, blogs, text paper form in the ebook version with proper layout, image, table, dynamic equations, symbols, link fixes which a normal online tool can’t do for you. Read about our ebook Conversion Services here. ebook formats have emerged as a profitable alternative because it requires minimal investment and brings sale opportunities in quick turn around time. The ebook designing is not so costly, wherein paper books demand so much investment in printing and publishing, ebook design starts from $100 to depending upon the number of pages you have in your book. All ebook conversion companies charge differently. Read more about the prices here. 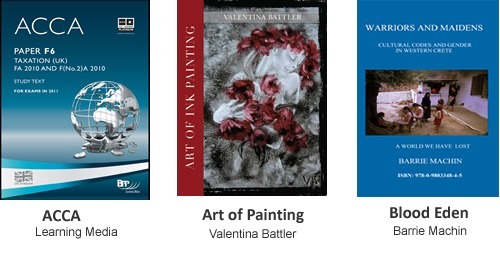 We convert paper books to an ebook format which is playable on Kindle and iPad Devices. Educational books / Fictional novels / Daily Journals conversion to ePub and Mobi formats. 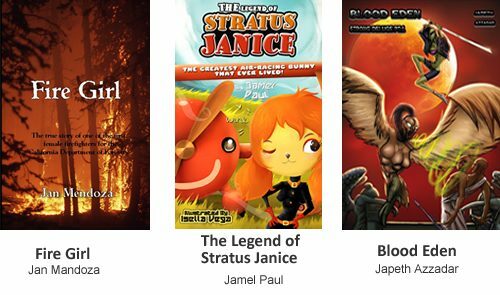 Comic books to Fixed Layout ebook formats which are playable on iPad devices. Proofreading the content to ensure that the final ebook version is free from typographical errors. End to end free consultation in self-publishing. 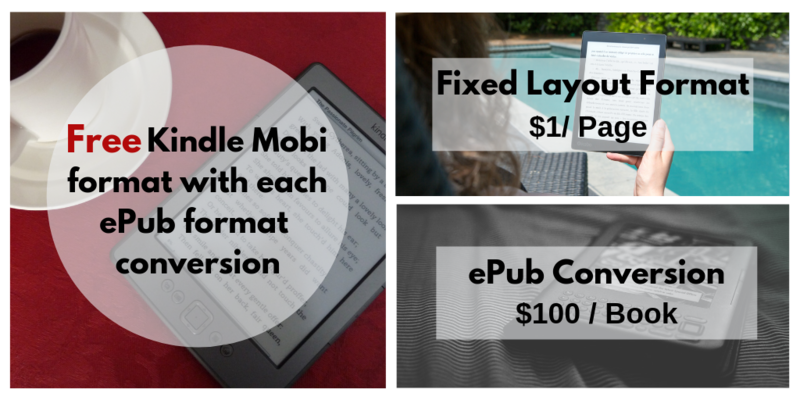 Free Kindle Mobi format with each ePub format conversion. Quality ebook conversion in terms of design, formatting, and validation. IDPF’s standard ePub check/validation which makes it readable on multiple devices. Consistent-quality output throughout the book as a conversion tool may not give 100% accuracy. Table of Content and anchor linking within the pages which makes the book interactive. Better alignment of paragraphs, quotes, images, and headings.